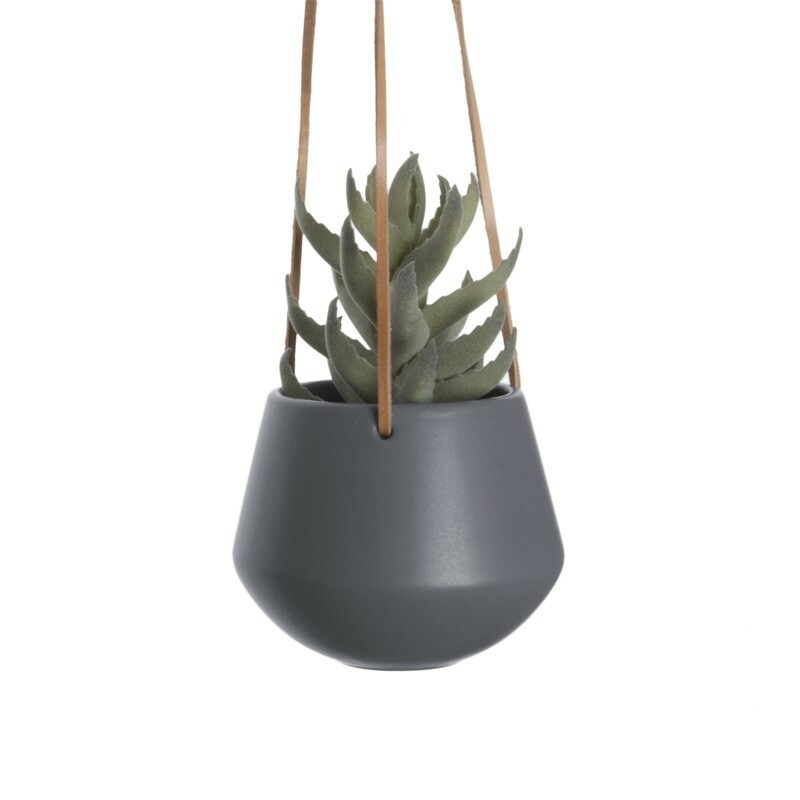 Step up your game with the Skittle Small Hanging Plant Pot in Dark Grey! Featuring a tapered top and a rounded bottom reminiscent of skittle pins, this quirky little pot is a lovely way to display your much-loved succulents and trailing plants. Measuring 12.2cm x 9.5cm, and hanging from a 66-cm leather cord with three legs, it's ideal for showcasing plug plants and even small herb gardens in your kitchen, on your patio or on your stairwell. The length of the cord is easily adjustable, enabling you to create floral arrangements with Skittle pots in a range of shapes, sizes and colours. Bring out those earthy tones in your colour scheme, maximize your living space, spare your furniture the moisture damage and let your lovely greenery show off at eye level with this practical and stylish Scandinavian style pot. See the other colours and sizes in the Skittle range on the right! Lovely little hanging pot. Have filled with hanging ivy and looks so pretty!